Email has covered a long distance from how some of us might remember, when we have first started using it. Email is an identity for all of us now, but when we talk about the early 2000’s, you certainly were not checking email on daily basis even if you have internet access. We are in 2014, 14 years from where it has started and now our life revolve around email; it has become the basic need of our life or in other word it’s omnipresent. With the increasing need of emails, now they are exchanged from smallest requests to work places. Every growing things have its bad part as well, in cases of email we receive many rubbish Emails from different source, like Uber to Yatra to social media updates from the Twitter, Facebook and many more; they keep flooding your inbox. For the people if mail is the way of communication as work or their personal activities like shopping, traveling and friendship, it is very hard to clear all these mails in one go. Google tried to overcome this issue by creating tabs in your mailbox, so that your main inbox get less affected by these types of mails. For the people who are facing the same problems stated above, today we have some good news for you. 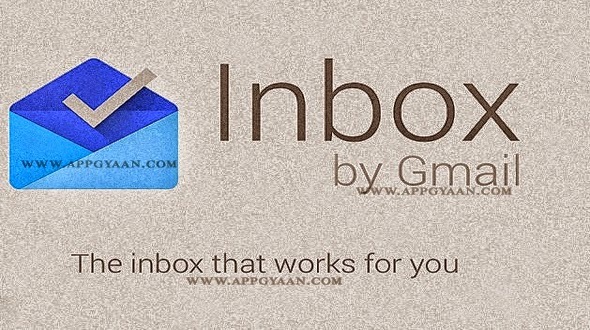 Today we are going to review a new app from Google named “Inbox”. Inbox from Google, which I’ve been using for the past couple days and I can assure you that it’s quite different experience, and a good way to manage your mailbox. So how does Inbox work? Well, for now, it’s available for download only on the invite from Google, through users have now Google has given the option for inbox users to invite their friends to try out app. Sadly you get only three invites, luckily I got a invite from Google. “Bundle” is the new name with some added feature for the Tabs concepts. Simply make certain kinds of emails in a bundle together. The Bundle what is already available in Inbox are Travel, Finance, Social, Promos, Updates. Defiantly there is an option to create and simply name them. It’s like creating filters, labels in the old Gmail. The best apart of Bundle is you can delete everything you don’t need in one go. For me Social and Promotions Tabs are like my biggest enemy, earlier I use to go in that tab and select all the mail which I don’t want see and then delete, but with Inbox I can move the whole bundle in trash or I can Swipe them as done. Bundles also have “Highlights” features. In case, there are emails with picture or with PDF attachment, you get to see that Upfront, without being forced to open the email, which according to me is one of the coolest features of Inbox. The Pin Option in Inbox, lets users choose certain emails that you want to keep on top. There is “Pin Mode View” option on Mobile and Desktop app, where you will only see the important mails. Inbox will also let you create Reminders like call this shop or save the dates for upcoming event. In case you save a call as a reminder Google will also save the shops number where you have to call. At the last the question which will come in every body mind is “How easy is to adopt to Inbox?” I know there is some features which will worry you like Swiping, but don’t worry nothing goes to Trash directly and will be available for you in “Done” section of Inbox. If I conclude whole post in single line “I will tell you go and search someone who can give you the invite for downloading this app”, it’s quite awesome and has a whole new experience with Mail Box. Do write us you comment and suggestion below, which will help us to create good post for you. we have sent you the invite and hope you have received it.